Engagement shoots are a wonderful change to create some beautiful memories together before your big day! Use this as another reason to connect with your partners. Engagement photos are great for save-the-dates or as a decoration for the wedding guest book. So, let your photos reflect your personality. When pictures are too posed or directed, you may end up with pictures that don’t feel like you. We like our pictures to be a reflection of us – so don’t be afraid to let your personalities shine! Alfaaz Photography’s recent engagement shoot was with the adorable Harjot and Harsh. Their love story took us on a trip down memory lane to the days of MSN; in the world of the chatroom and emoticons, their friendship grew. 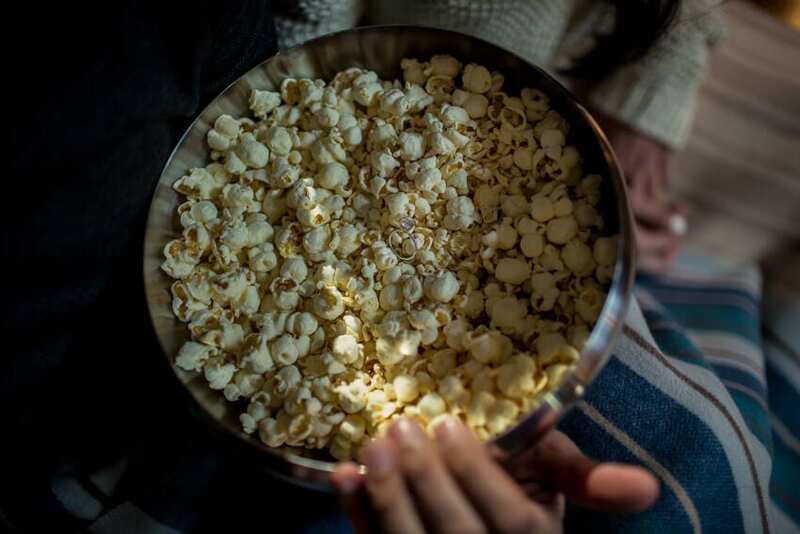 We planned their shoot based on their relaxed personalities and love of movies – on a lazy Sunday, with a TV set playing their favorite movie and freshly popped popcorn. Engagement shoots should bring out your personality, so make sure they aren’t excessively planned and directed, it is best to ease off and let your personality speak for itself.